Sussex CCC have announced that Ed Joyce has decided to step down from his role as captain for both the LV=County Championship and Royal London One-Day Cup formats. The 37 year-old has skippered Sussex for the past three seasons after being appointed captain at the end of the 2012 season, and led the county to two successive third-place finishes in the LV=County Championship, the highest position in which Sussex have finished since winning the Championship in 2007. 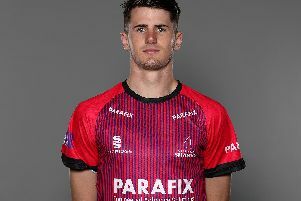 Joyce will continue to play for Sussex and currently has a year on his contract remaining at Hove. The Irishman said of his decision, “It has been an honour to captain Sussex for the last three and a half years. I couldn’t have asked for a more committed group of players and coaches to work with. “We’ve had a very tough year in 2015 but despite this, we’ve received overwhelming support from the majority of fans and this shows the unity and family feeling that Sussex engenders. “My increasing commitments with Ireland and the stage in my career that I’m at meant that the job this year became more a burden than a challenge to be relished. So the time is definitely right to hand over the reins to a new captain and whoever that is will have my full support. I’m also very determined to get back to scoring lots of runs and helping us back into the first division of the championship and to performing much better in white-ball cricket. Sussex will announce a new captain for both four-day cricket and 50-over cricket in due course.